You may start to notice a subtle change of location over the coming weeks. Nothing too outlandish, but I have finally packed in working for good and am enjoying an early retirement. At the moment it feels like a holiday… I like it! I headed down to Rottingdean this morning to see what was going on. 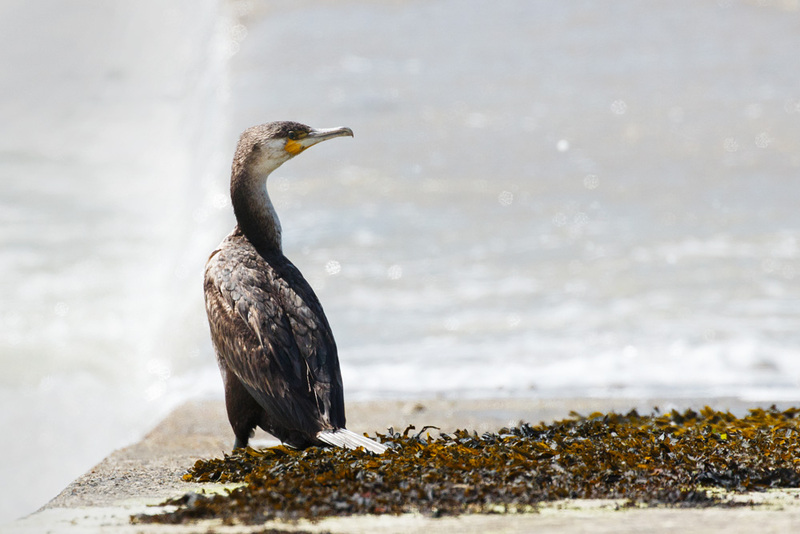 The tide was out, as were a couple of cormorants. Not that they did very much other. The first one flew off while I was trying to gain a better vantage point. 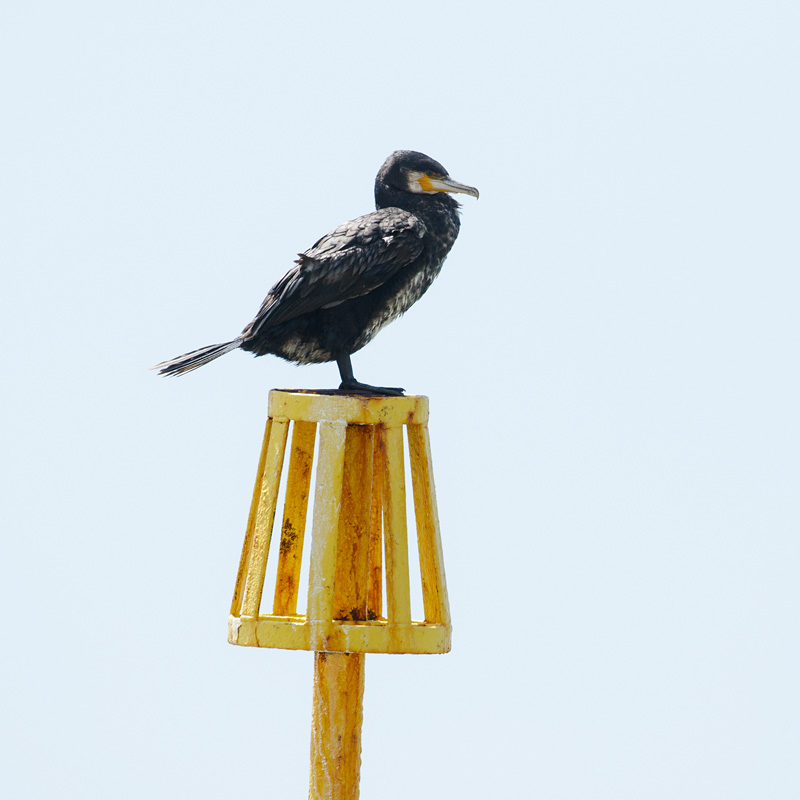 The second simply perched on a yellow warning sign for the better part of an hour. I gave up first. 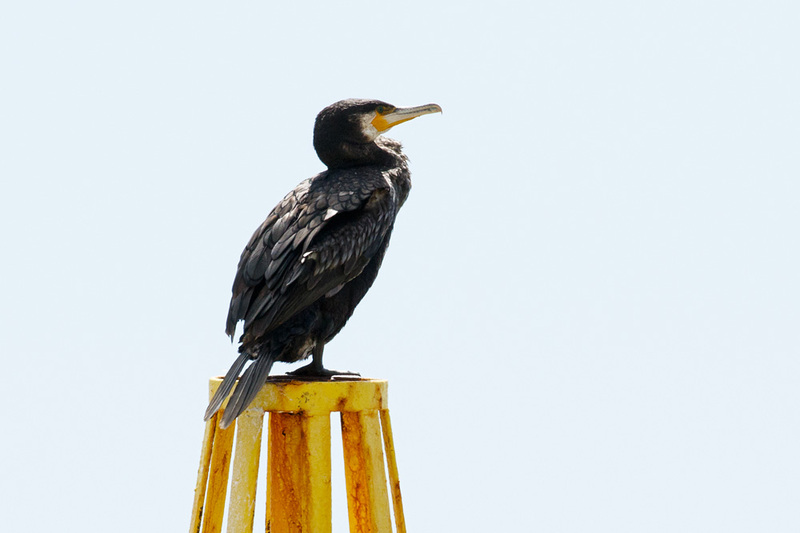 Cormorant number 1 at Rottingdean Beach. 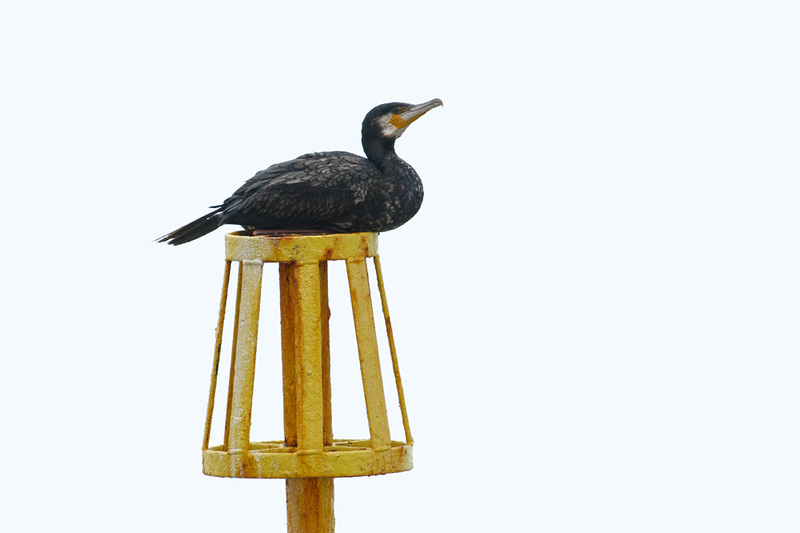 This is the second cormorant. It shifted position very occasionally, and defecated twice. Other than that, it did just about nothing! The most exciting move of the day! 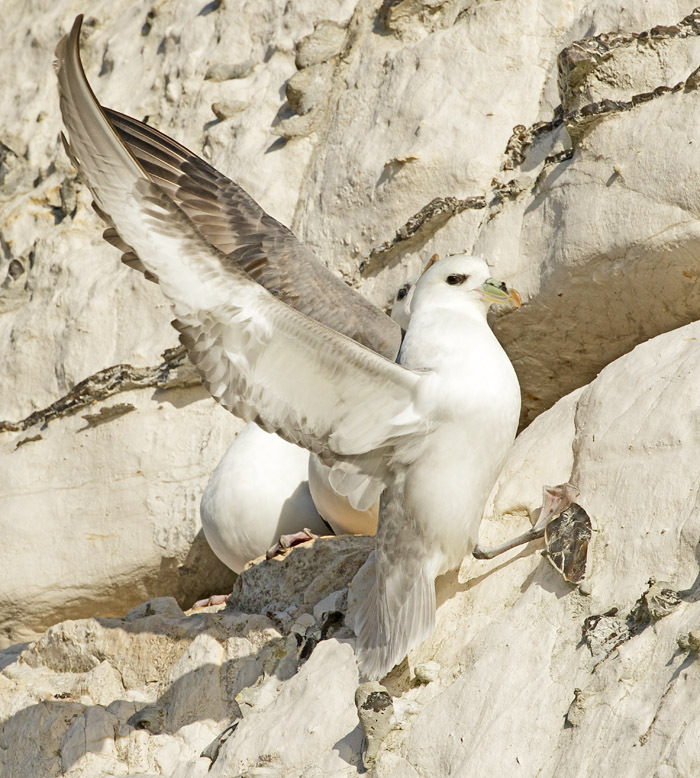 Between some of those shots I did wander along the cliffs to see what the fulmars were up to. 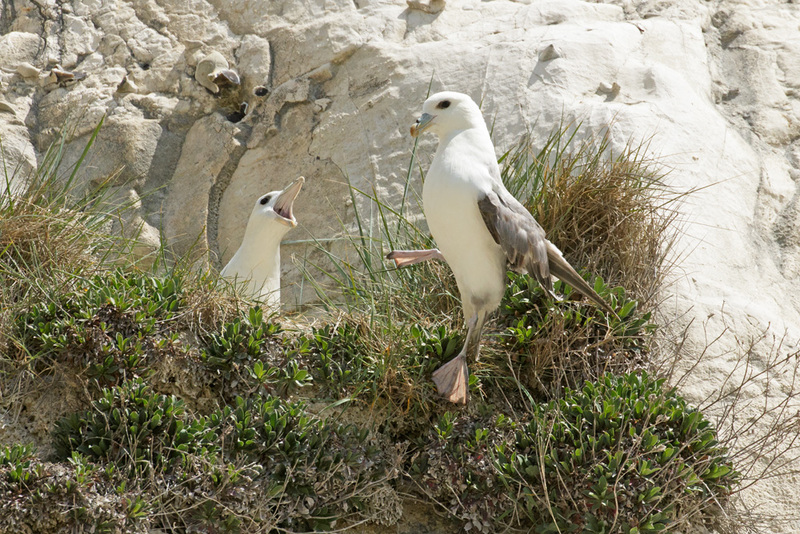 There are still some about, and they are still playing their usual game of endlessly trying to land on the sheer cliff face. 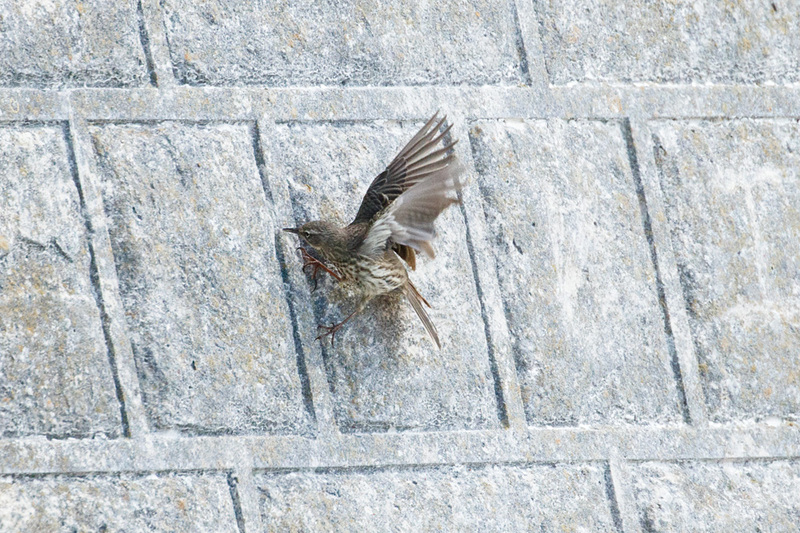 And finally a quick shot of a rock pipit digging out a grub from the cliff walls. More fox cubs soon (and regular shots over on Fox of the Day). 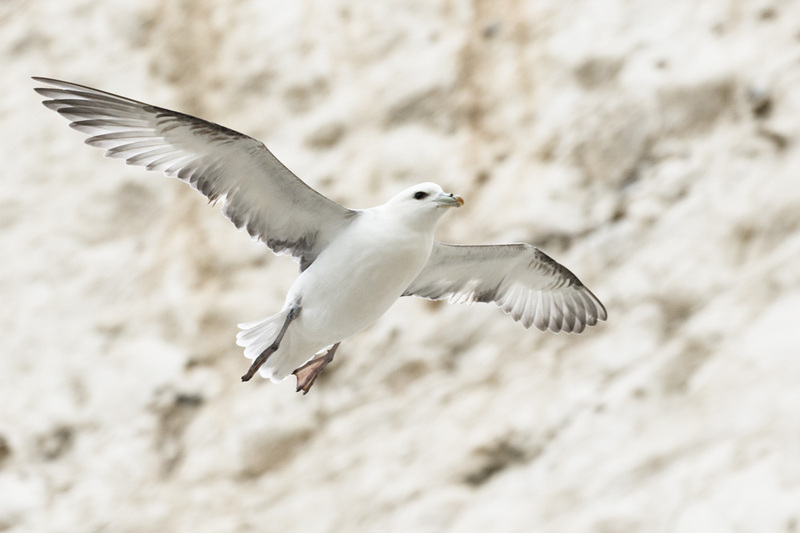 These are a few shots taken at Rottingdean cliffs this morning. The weather was threatening – but never delivering – some sunshine, so the light was imperfect. 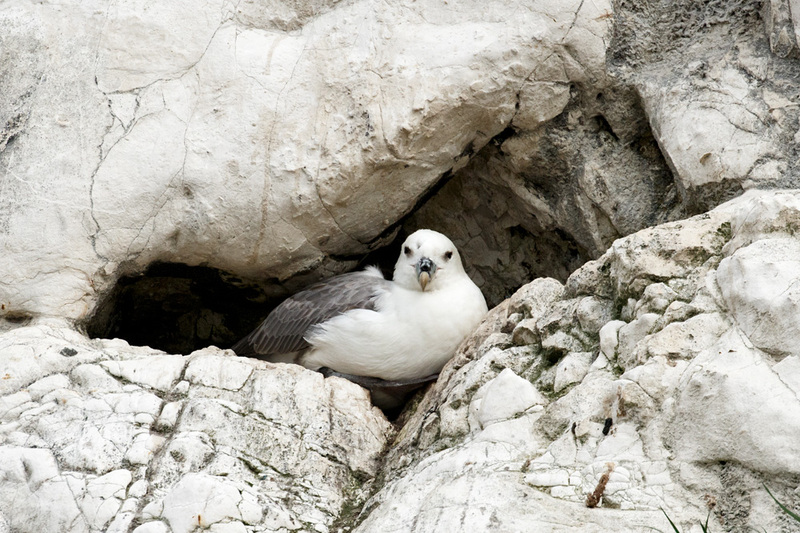 There are still some fulmars nesting in the cliffs. I’ve not been there frequently enough to judge whether the small numbers are a real reduction on previous years as the time of day and weather (and sea) can make a difference to how many hug the cliffs. 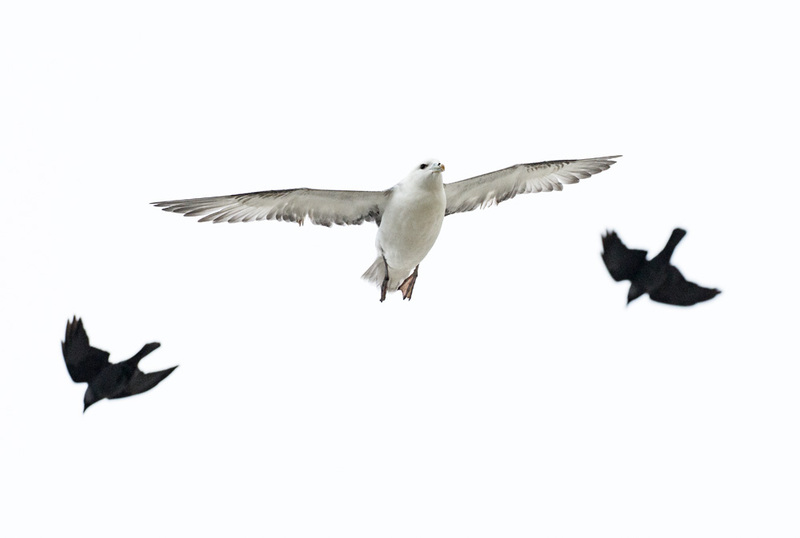 Fulmar with two jackdaws in the background. Jackdaws are possibly the most dominant cliff dwellers. The tide was out so I kept my eye open for waders (we see lots of oystercatchers along the coast). I was out of luck with them, but a very distant flock caught my eye as it skimmed the sea between Brighton Marina and Saltdean. I think these are Brent Geese. They are winter visitors and probably just beginning their summer migration away from the UK. This is my first post of 2017, so firstly a Happy New Year to everyone. I’m certainly hoping for a smoother year than the one we’ve just had, and with luck a few more photos. 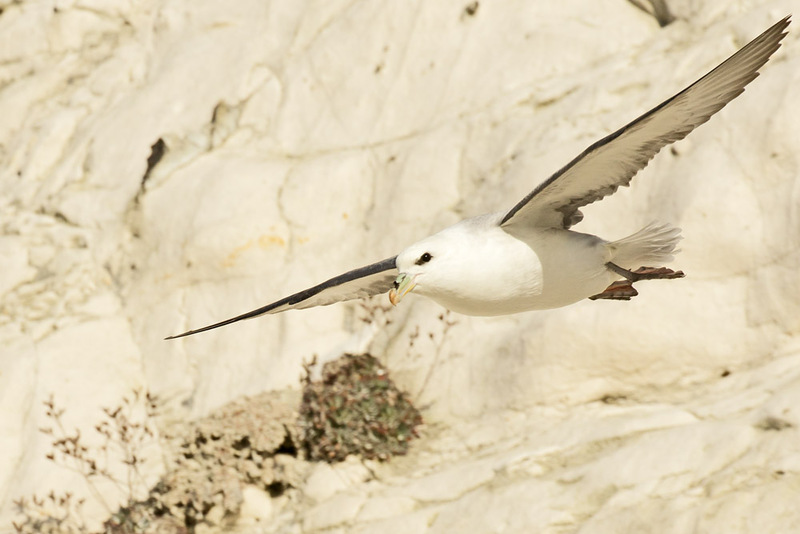 I’m starting the year with five photos of the fabulous Rottingdean fulmars, taken this morning. 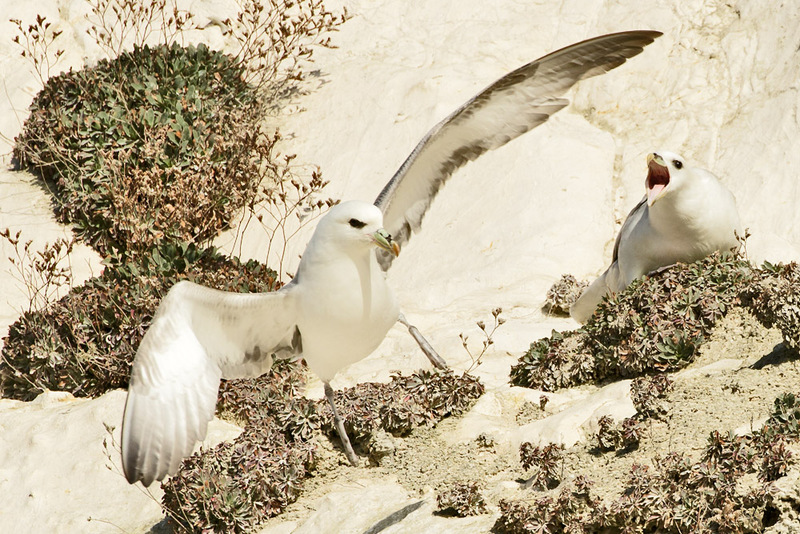 I can watch these amazing birds for hours as they skim the cliffs and make their numerous attempts to land on the narrow ledges and crannies they call home. 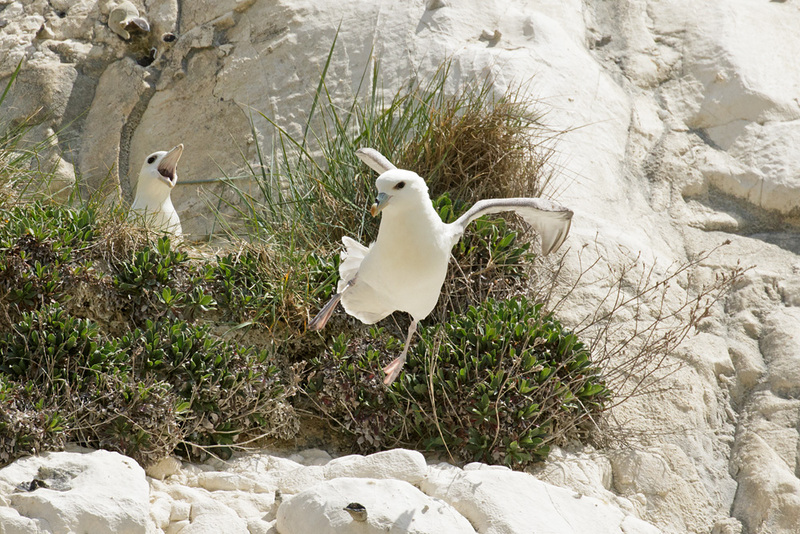 Most times they fail (their legs are not built for strength), but they do make it occasionally (assuming they can withstand the onslaught of fulmar-abuse from the current occupants (as you will see). A landing attempt. The current occupant is not happy! 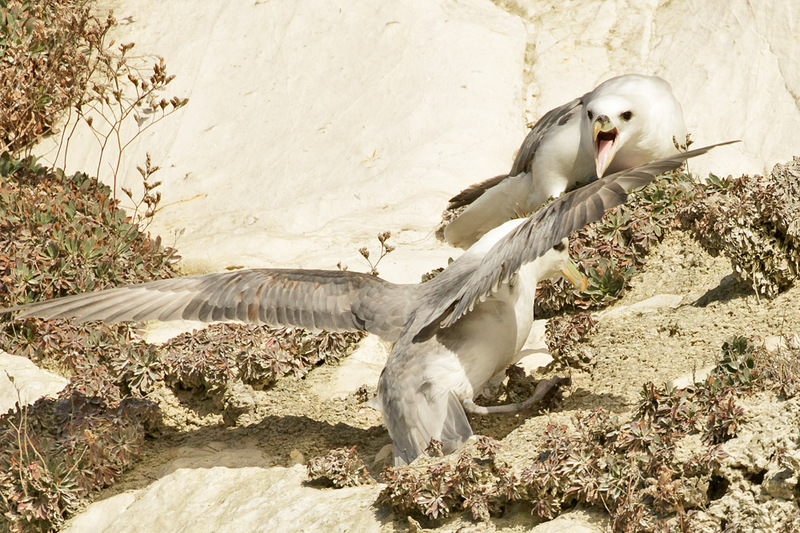 Another fulmar fails to land! 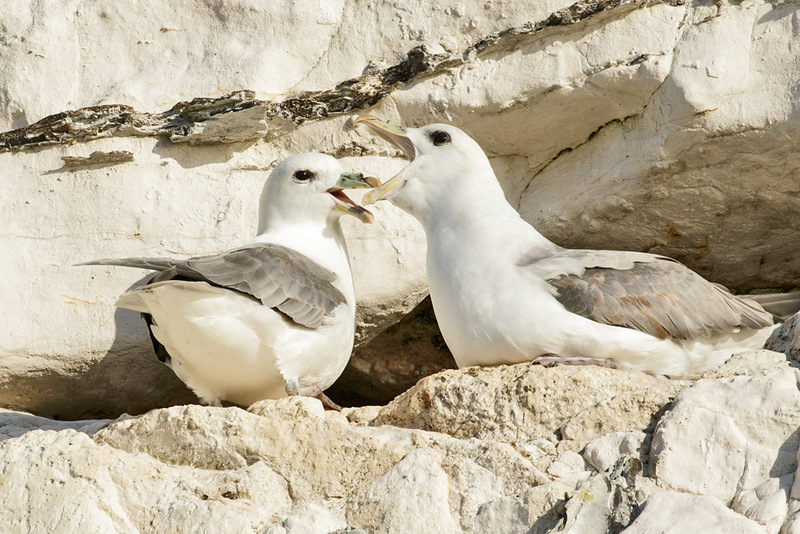 But life can be sweet for fulmars, as this pair show.